Starting today, Baltimore City Council President Bernard “Jack” Young will assume mayoral duties in place of the city’s mayor, Catherine Pugh, who announced she was taking an indefinite leave of absence on Monday. While Mayor Pugh cites health reasons for the leave—her statement said she has been fighting pneumonia “for the past few weeks”—her office has been embroiled in scandal over a self-published children’s book Pugh wrote. As the Baltimore Sun reported earlier this week, Kaiser Permanente paid $114,000 to purchase about 20,000 copies of Pugh’s Healthy Holly children’s book series between 2015-2018. At the same time, the healthcare giant was vying for the contract to provide health insurance to city employees. The Healthy Holly books are intended to promote healthy eating and exercise habits. Last month, the Sun reported on Pugh’s dealings with the University of Maryland Medical System; Pugh sat on the board of UMMS until March 18, when she resigned from her position. As the paper reports, UMMS paid the mayor $500,000 for copies of her Healthy Holly books between 2012 and 2018. UMMS runs hospitals around Baltimore. In light of the reports, Maryland Gov. 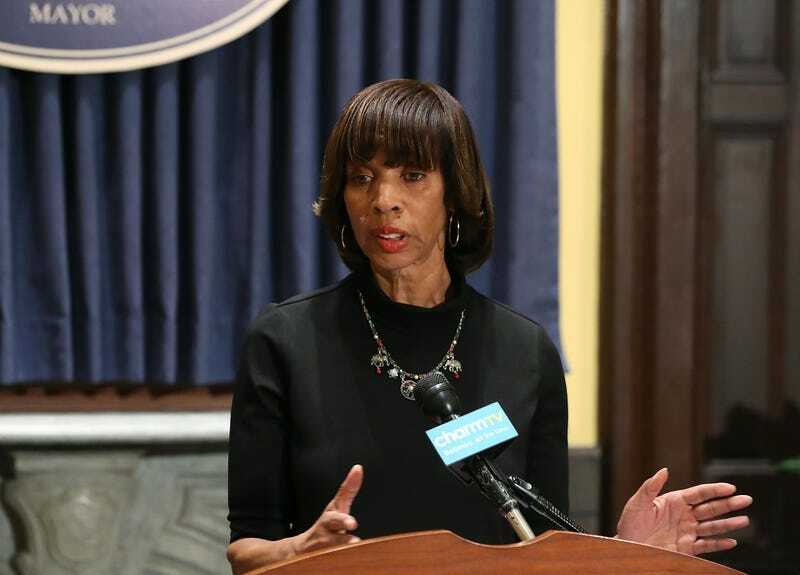 Larry Hogan, a Republican, has called for a criminal investigation into Pugh’s business dealings. None of this was addressed in Pugh’s statement explaining her leave of absence, NPR writes. Pugh was hospitalized for five days last week, according to The Sun. Young took over the mayor’s duties at 12:01 Tuesday morning. A government official confirmed Pugh will continue to be paid her $185,000 salary.